Today I am going to talk about essential oils from a brand called “Nature’s absolute”. Off lately I am completely into oils and loving them a lot. I am thinking of switching from creams to oils. FYI: I have a combination skin with an oily T-Zone. You heard it right. In spite of having an oily skin, I use oils on my face. And you would be surprised to know that oils do wonders when included in the skincare regimen. I am going to review completely natural cold pressed Argan oil and Rosehip oil. Stay tuned to know how I use them on my skin and how effective they are! Both of the oils comes in a beautiful white cardboard box. The oils come in a fully secured dark brown colored glass bottle. And you know what there is also an extra spray which we can replace with the cap. How cool is that! But I really wished that they could have provided a dropper instead of a plastic cap. Overall the packaging is good. For best results, apply a few drops directly on the skin and hair. Can be used with other carrier oils and essential oils. Perform a patch test on inner elbow, keep for 30 minutes. If irritation develops, discontinue using. This is the first time I have ever used Argan oil. 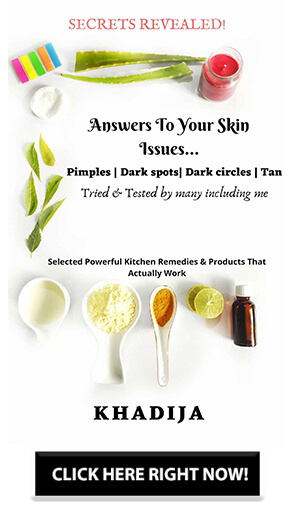 I was dealing with breakouts and that is when I came across oils and their benefits. I use argan oil on my face and now you might be thinking wouldn’t it make the skin oilier? Wouldn’t it cause breakouts? And so many such questions might be popping in your head right now. The answer to all those questions is a big NO, provided you use pure and natural oils. I started off with using it only at night before sleeping but then due to climatic changes my skin was throwing tantrums and acting weird. Some parts of my face started drying out and Nature’s Absolute Argan oil came into rescue. This oil has become my daily moisturizer and I am totally enjoying it. After washing my face, I take one or two drops of this oil and rub them between my palm. Then I massage it onto my face. Sometimes I pat the oil on my face by gently pressing over my skin. Another way I use it is, by adding few drops of it in the oil blend which I have prepared for my oil cleansing Method. Now let me talk a bit about its consistency and other details. This oil has a non-sticky and very light consistency. When used on the face they hydrate the skin amazingly well without making it feel greasy or oily or sticky. This is what I loved about it a lot. And during day time when I use it on my face, this oil gives me a healthy dewy look to my skin. They don’t look oily on the face but gives a glowy look. I don’t use face creams anymore. I have found my perfect and healthy moisturiser*happy* And yes they are odorless and almost colorless. For hair care: This carrier oil is nourishes and conditions the scalp and hair, making it smooth, shiny and vibrant.Face – Rosehip oil is an effective moisturizer, imparting a healthy radiance to the face when applied. It keeps skin supple and firm. The consistency of rosehip oil is a bit thick when compared to Argan oil. This essential oil also hydrates the skin very well. The hydrating power of rosehip oil is more when compared to argan oil. So I have included this oil in my night-time skincare regimen. If you have dry skin then this oil can be your best friend. Since it has a very deep hydrating property it can be used on dry hair tips too. Rosehip oil, when used in a long run will prevent wrinkles and many other skin problems. I usually use it at night before going to bed. Since it is night time and I want to keep my skin hydrated whole night, I use 2-3 drops of it and massage it well into the skin. It gets absorbed into the skin quickly and at the same time doesn’t make my skin oily. I did not get any breakouts after using both of the oils. It has a mild non-distinguished smell and is almost colorless with a very slight tint of red color. It is said that Rosehip oils behave as a barrier thereby preventing your skin from getting dehydrated. There are numerous benefits of rosehip oil both for the dry and oily skin. Eczema, psoriasis can also be treated by using rosehip oil. This oil also gives a glow to the face and helps in toning the skin. It works well on acne and pimple scars too. I personally do not deal with dry hair *MashaAllah* but still, I wanted to try both argan and rosehip oil on my hair too. These oils did not make my hair greasy. They are super light, hydrating and adds shine to the hair. If you have dry hair then you can very well use them as your hair serum. The spray packaging would make your job easier. Just spray one pump on your hair tips, run your fingers through your hair and you are good to go. No matter what is your skin type, just go for it. Include them in your skincare regimen and you will notice positive changes in your skin. If you have an oily skin I would suggest highly Argan oil as your daytime moisturizer and Rosehip oil as you night-time face serum. That is it guys. I hope you liked it and this helped you. Using oils on the face is something which many of us don’t know and is kind of new in India. But trust me these essential oils are babies and would help you achieve beautiful, healthy and glowing skin. Do try them out. If you have any queries regarding this, feel free to ask in the comments section or through mail or DM me on Instagram? And if you liked this then please follow and subscribe me. this rose hip oil is in my wishlist! Both the oils are good to use. Surely will buy. Nice detailed review Khadija.. I have oily skin and Argan oil suits me best..and it helps to reduce under eye dark circle. Nice review ? Argan oil is such a versatile product. I am really excited to try it out.